Modern oral surgery may involve the teeth themselves, their supporting tissues and bone, or any of the soft tissue within the mouth. Healing occurs quickly in most cases without any complication, although problems may arise as the mouth must still function while healing is taking place. Additionally, the mouth cannot be sterilised and there is always a risk of infection of the oral wound. The most common complications are pain, swelling, infection and bleeding. Please do not place fingers, pencils or any object unnecessarily in the mouth (to avoid injury or infection). A soft toothbrush should still be used to carefully clean your teeth. Be careful not to chew or bite your lip or tongue during the initial hours after your surgery, as they may still be numb from the anaesthetic. Moderate pain can be controlled by the medications prescribed. Remember to take these medicines in the usual way and DO NOT apply the drug directly to the wound itself. Warm packs applied after day 3 will help control any remaining pain or muscle fatigue. If the pain persists you should contact your surgeon. Some swelling and/or difficulty in opening your mouth is common but it should begin to subside after 2—5 days. Apply an ice pack immediately following theatre and at home for the next 24­48 hours, as this will limit the amount of swelling and pain. Do not apply the ice pack directly to your face – always wrap them in a face washer or cloth first. Continued pain, swelling or a raised temperature may indicate an infection. Infection may spread or at least seriously delay healing. If you experience any of these symptoms you should contact your surgeon immediately for further care. Rinse your mouth gently after every meal to dislodge any remaining food particles. You may use mouthwash or a salty­water mouthwash made by using a teaspoon of salt mixed into a glass of lukewarm water. Maintain your regular brushing habits with a soft toothbrush and extra caution. If given antibiotics (not all patients need them) it is important that you finish the whole script of antibiotics provided to you by your surgeon. Slight ooze during the initial days after your surgery is quite normal but if bleeding increases it requires attention. Remove any excess blood clots from the mouth. Apply one piece of rolled gauze, a bandage or a clean handkerchief to the wound and keep it under moderate pressure. The cloth must be clean and should be dampened. The pack must be placed over the surgical site; if you feel it in between your teeth it has been incorrectly placed. Sit down and maintain the pressure for at least 20 minutes. If doing this cannot stop bleeding contact your surgeon immediately. Avoid the risk of bleeding by avoiding excessive activity for about 24 hours. Do not lie down flat as this increases the venous pressure in the face and thus the tendency to bleed and swell. Relax, but keep your head elevated (on at least two pillows). Avoid hot foods or fluids for the first three days as the heat may predispose to bleeding. Avoid dehydration by keeping your fluid intake up. Ideally use an electrolyte replacement drink (e.g. Sports drink). Water based ice blocks are also a good method of providing a degree of fluid intake. The electrolyte ice blocks provided can be consumed as is or frozen, and can be purchased from most retail pharmacies. Eat soft nutritious foods such as soft-boiled eggs, soup, mashed potato or fruit juices, even if you don’t feel particularly hungry, as regular meals are vital to your recovery. It is normal to experience some nausea or lack of appetite following your surgery. We realise that everybody has different post-operative needs. Our practice will be in touch during your recovery. 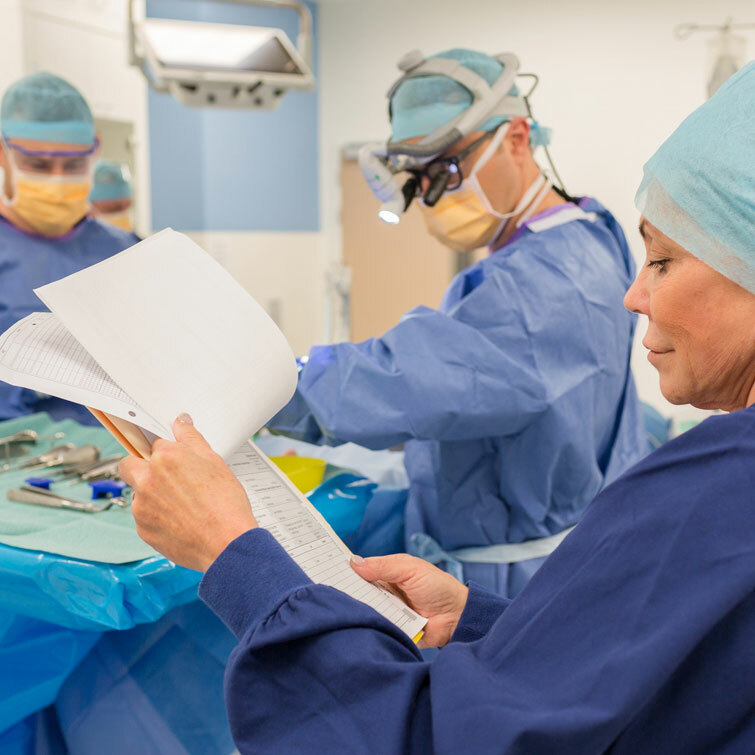 Our practice nurse will contact you 4­5 days following the surgery and will tailor a postoperative plan to suit your needs. 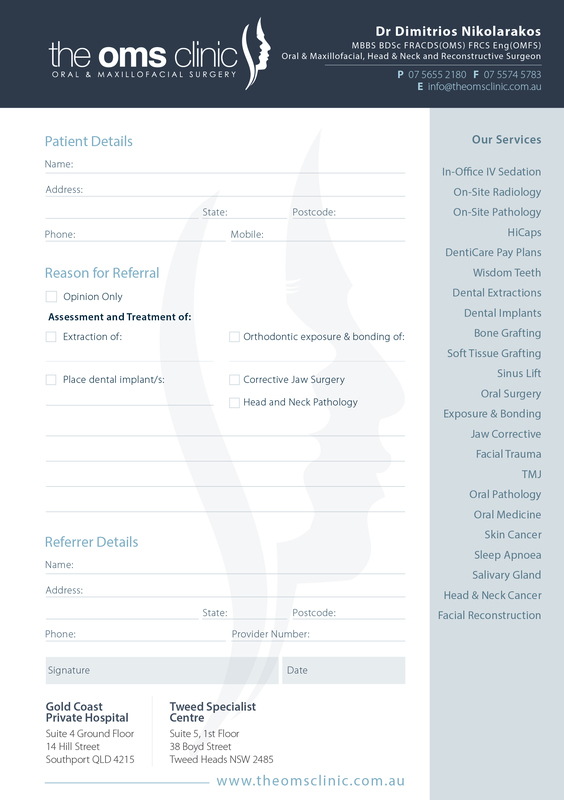 If required, we will organise a post-operative review. Many patients may not even require a follow­up appointment. This advice is to help you achieve a smooth post­operative recovery. Should any problems arise or you have any questions following your surgery please do not hesitate to contact our practice.